In Honor of National Chocolate Chip Cookie Day. . . In the 1930s, Ruth Graves Wakefield was in her Toll House Inn in Whitman, Massachusetts when she made culinary history. One story goes that Ruth ran out of baker’s chocolate when she was making her chocolate cookies. When she chopped up semi-sweet chocolate morsels she discovered they didn’t melt as she had expected. Another legend says the fateful moment may have happened when a bar of Nestlé semisweet chocolate jittered off a high shelf, fell into an industrial mixer below, and shattered into her cookie dough. Regardless whether it was intentional or not, Ruth’s chocolate chip cookies were an instant classic. Today, 25% of all the cookies baked in the United States are chocolate chip. 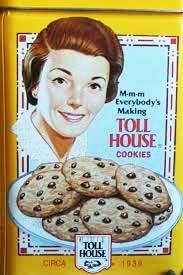 In fact, Ruth’s recipe has been printed on the back of Nestle chocolate chip bags since 1939. The New York Times has even suggested Ruth be the first baker to be nominated for sainthood since she fulfills most of the requirements: (1) She’s dead. (2) She demonstrated heroic virtue. (3) Cults have been formed around her work. (4) Her invention is considered by many to be a miracle. It truly is amazing considering it’s just a mixture of flour, eggs, sugar, baking soda/powder, salt, and chocolate chips. Seems simple, right? 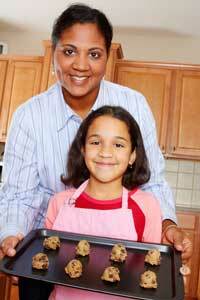 Just last month, our U.S. Supreme Court Justice Sonia Sotomayor seemed to have the same idea as Chef Poussot when she discussed baking chocolate chip cookies in the context of a legal case: Whether Myriad Genetics could have valid patents on certain human genes? 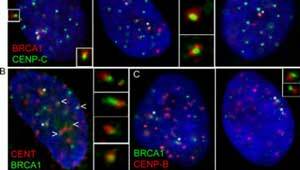 “You haven’t created a type of gene that does not exist in the body,” added Justice Antonin Scalia. While the Supreme Court may hold that isolated DNA cannot be patented, they were also concerned about the broader implications: Justice Kagan asked what incentives a company like Myriad would have to make the very substantial investment (in this case, approximately $500 million before breaking even) to isolate the gene in the first place. Want to know more? Stay tuned-in. We’ll probably find out what the Court decides in late June! Get your FREE How to Set Up Your LLC/Corporation to Maximize Legal Protection and subscribe to our free Tisha’s 2-Minute Tips newsletter. 4/5/19: Hang Up Your Shingle; What’s Next?